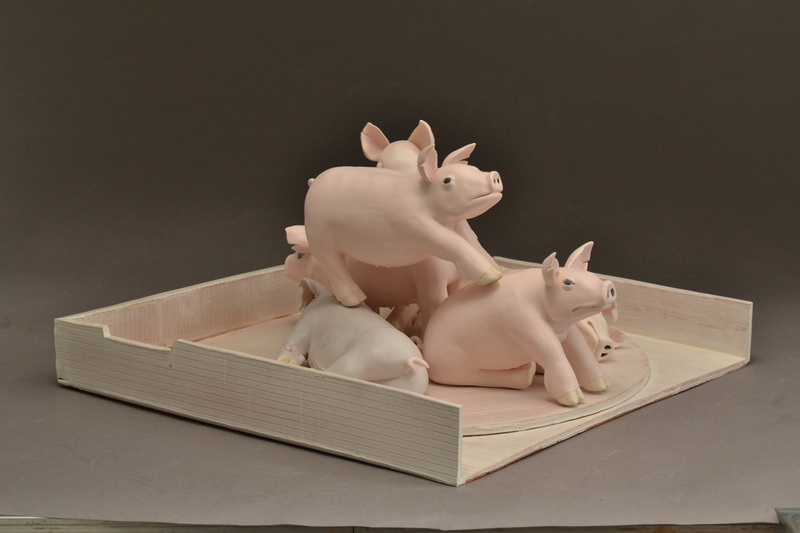 Pig Pile is a sculpture targeting the viewer’s perception of scale. In one hand the piglets are engaged in a playful narrative, romping around in their pen. When focus adjusts to a life size scale, the context for that narrative shifts, placing them inside a pizza box. 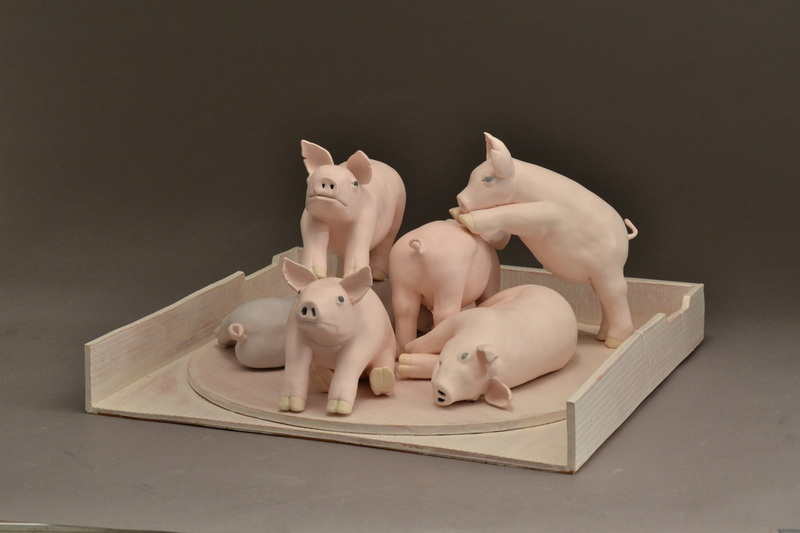 This is a piece about bringing identity to what we as consumers eat. 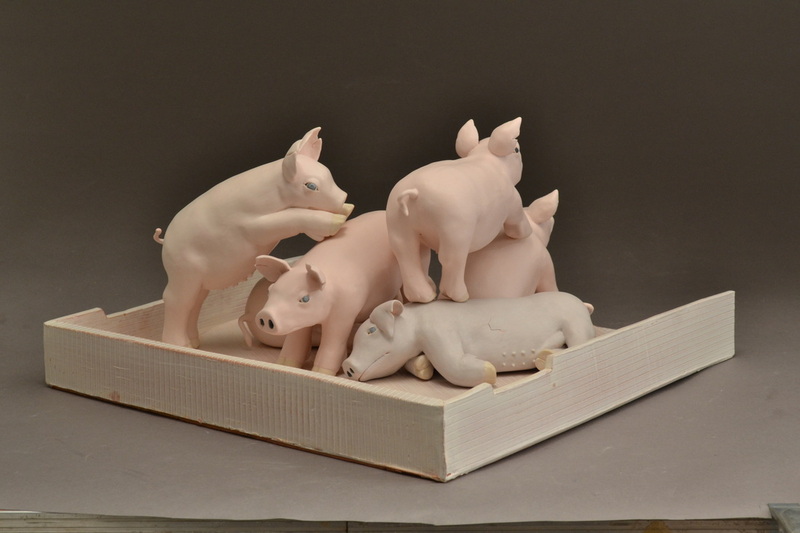 The piglets become the pepperoni, the Canadian bacon, the sausage that is the topping on our convenience food.